The Navy has dropped criminal charges against the former commanding officer of the USS Fitzgerald and another officer for their roles in a deadly June 2017 collision. The two officers now will receive letters of censure instead of facing a general court martial. 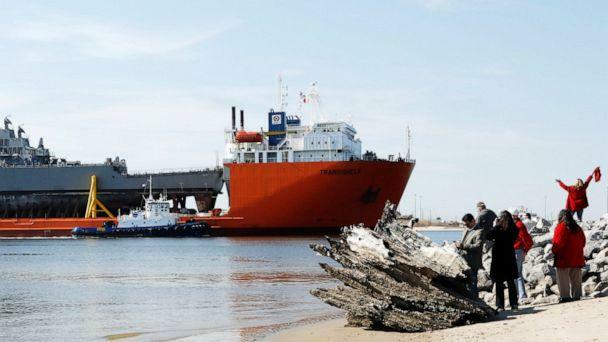 Seven U.S. sailors died after the destroyer struck a cargo ship off the coast of Japan. "At the recommendation of Chief of Naval Operations Adm. John Richardson, Secretary of the Navy Richard V. Spencer will issue a Secretarial Letter of Censure to USS Fitzgerald (DDG 62) former commanding officer Cmdr. Bryce Benson and former crew member Lt. Natalie Combs," said a Navy statement issued late Tuesday night. "Richardson will also withdraw and dismiss charges in the general courts-martial against the two officers." "This decision is in the best interest of the Navy, the families of the Fitzgerald Sailors, and the procedural rights of the accused officers," the statement added. "Both officers were previously dismissed from their jobs and received non-judicial punishment." On the night of June 17, 2017, the guided-missile destroyer collided with the cargo ship ACX Crystal as it sailed out of Tokyo Bay. It proved to be the first of two deadly collisions that summer. Two months later, 10 sailors were killed when the destroyer USS John S. McCain struck an oil tanker in Singapore harbor. Both Bryce and Combs faced criminal charges of negligent hazarding a vessel and dereliction of duty resulting in death. Last year, the Navy dropped charges of negligent homicide. On the night of the collision, Benson was sleeping in his quarters and Combs was on duty in the ship's nerve center, known as the Combat Information Center. Last year, former Lt. j.g. Sarah B. Coppock, the officer on the deck when the collision occurred, pleaded guilty to a charge of dereliction of duty for which she received a letter of reprimand and the forfeiture of her pay. Benson chose to skip a preliminary hearing to go straight to a court martial to fight the criminal charges against him, while Combs' case had been referred to a general court martial. 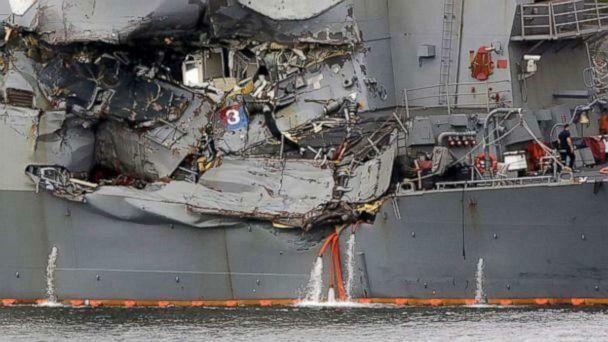 Navy investigators found both collisions could have been avoided, raising questions about the high rate of ship operations in the Pacific that fatigued crews and a failure to comply with full sets of readiness evaluations. "The comprehensive program to improve Navy readiness and training, to do everything possible to ensure that accidents like this will not recur, remains on track," said the Navy statement issued Tuesday night. "The Navy continues to strive to achieve and maintain a climate of operational excellence."